These are the tire rating codes that you will find on your tires. It is important that you match the right tires with the proper ratings to your vehicle. Check your instruction booklet for the proper tires for your car, truck or SUV ! Using the wrong tires can make your car unstable while driving causing loss of control. Alternatively, your tire dealer can recommend the proper tires for your car based on speed ratings and manufacturer guidelines. If you chose tires that are not recommended for your car there is a chance of experiencing instability at higher speeds which could lead to an accident. Additionally you may not be able to stop as fast or properly in an extreme breaking situation. Stick with the right tires for your car. I have always wondered about these speed ratings for tires. Who is going to drive at 300 kilometers per hour or 187 miles per hour on North American roads? The roads are not built for these speeds and if you do drive anywhere close to this level, chances are a police car is going to be in hot pursuit. While they may not be able to catch you, they will lay down spike belts somewhere ahead and channel you towards them so that you ruin an extremely expensive set of tires, possibly your car and probably lose your license for a long time or worse end up in jail. If you happen to be racing on a circuit then yes you need these tires rated for high speeds, but no the average consumer who drives everyday to work or to the corner store for a quart of milk. On another topic, consumers also should drive primarily with all season tires in most areas on their vehicles. Unless you live in areas were there is a lot of snow. 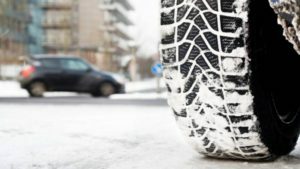 If so you should plan to install winter tires on your car for the winter. In some jurisdictions, it is a law for residents to have winter tires on their cars during the winter. The recent winter of 2013 and 2014 has shown what happens when snow and ice hit an area which is not prepared for snow and ice. Everything comes to a standstill and no one can move because they are driving around on bald summer tires, summer tires. If they had all season tires or winter tires, many of these people who are blaming the government for no salt on the roads would have been able to get around much better and would not have been complaining about being on the road for 8 or 10 hours stuck in traffic that could not move. None of the talking heads on the news programs that were reporting these events talked at all about anyone having winter tires on their cars or even anything about tires. You can rest assured that people in the south are not using winter tires no even all season tires on their cars. The last post that we added to our blog was all about the criteria and information you needed to have in order to select a set of tires for your vehicle. It was aimed at the average consumer planning on buying a set of tires for their car. We had recently bought tires for our own car and wanted to share the experience and also what we learned. Every ones criteria will be different, so it is important to give some thought about what you want, what is important to you or high priority and who you need to talk to about tires for your car. The title of our previous post is “How To Select New Tires for Your Car” and you may want to spend a few minutes reading this post as well. Buying tires does not have to be complicated if you have all of the facts. Most tire shops carry all of the big name tire brands and most will price match, so after doing a little homework to determine what price I should expect to pay for a set of four tires, it pretty much came down to the above 4 categories that would determine who I would go with. Very few Canadian company’s operate in the US or have affiliates that you can go to if you have tire problems. The same is true for US companies. We really like Americas Tire, They have given us really good service in the past and we would like to use them. However they do not have a relationship with any Canadian company and cannot provide warranty service in Canada. They do have shops all over the US and within 100 miles of our home in Canada, but there are companies that are closer with Canada – US coverage. That pretty much left Wal-Mart and Costco as the two places that we could turn to that provided the coverage we were looking for. Wal-Mart had two negatives that caused them to fall by the wayside. Their price certainly was competitive, however they do not have the facilities to provide nitrogen filled tires, or at least the location I visited. Also their shop did not inspire confidence when I went in to get a price for the tires. The person helping me really did not know that much about tires and I just was not satisfied with the service they provided. Costco was just so much more professional in quoting a price for tires plus they met all of our requirements. They provided Nitrogen filled tires at no extra cost, they were able to show me the tires they recommended. The tires were on sale at the time , they could install the tires within an hour of purchase, they supported TPMS and they provide a lifetime balancing and tire rotation service. They are actually international, however being only concerned about Canada and the US , they have lots of stores throughout both countries and they fully support their warranty at all locations. In terms of TPMS, they had skilled technicians that knew enough to not damage the TPMS devices when installing the new tires. So all in all, it was the right decision to go with COSTCO in this case for tires. The price and the service were excellent and they met all of our criteria for new tires for my car. For the record we chose Michelin X-Radials DT with an 80,000 mile warranty, nitrogen filled, lifetime balancing and tire rotation at any of their locations across North America. Everything included the price came to $539 including taxes! Having just gone through the trial of selecting new tires for my car and since this is a web site about tires, I thought it would be helpful to write about my experience and also some of the criteria that I used to finally decide which tires would be the right ones for my car. Of course we will all use different criteria, but hopefully this list will help readers and you may want to add them to your list. If you do not have one, perhaps this will help you when it comes time to put new rubber on your car. You can read this off the side wall of the tire and all of your tires on your car should be the same. If not you are going to have problems controlling your car at higher speeds. consult your owner’s manual to find out what tire size should be on your car and compare to what you see on your current tires. When you talk to the dealer, they will need to know the year your car was made, the manufacturer of your car , the model and the engine size. This is the information that is used to select the size of tire from their database and to provide you a cross section of tire manufacturers to choose from. Make sure you have this information with you when you go into see the tire dealer. The above information will also determine the speed rating of the tires that should be on your car. Most people will never come close to the speed rating for your car or your tires. However you must make sure that you have the right speed rating for your car to ensure that your tires will not over heat and explode at high speed. Again your dealer will confirm this and you should ask him to explain. There are basically three general sets of conditions that you need to be prepared for. Dry conditions – wet/mud and ice/snow. Most people will opt for all season tires to allow them to have a good tire that can deal with all of the above conditions. However there are some locations that require snow tires during the winter and will not allow summer or all season tires in the winter time. If you live in an area were there is a lot of snow, consider using all seasons in the summer and fall and then switch to snow tires for the winter. Traction is much better and you will be much safer as well. All season tires perform well on plowed roads and wet conditions as long as there is sufficient tread dept. If you are caught on the road with all season tires with lot’s of snow, pull off or at least go slow so that you can maintain control. I have used nitrogen filled tires for the first time over the past two years. Based on my experience, I would recommend using nitrogen filled tires. The gas is more inert and will maintain the tire pressure better than compressed air. Not all locations will fill your tires with nitrogen and some will charge extra for this service. Most tire shops will replace the valve stem each time they replace the tire. This is standard and costs very little. The reason they replace these is to prevent any possible leaks that might crop up due to the current stems weakening from wear and tear. Cars with Tire pressure monitoring systems should not have any problem. The existing units should continue to operate as advertised and should not need replacement unless they have been damaged during removal of the old tire, damaged by the tire going flat while the car is still moving or just age. The mileage warranty that comes with the tire is basically how far you should be able to drive on your tires given normal average driving. Lower mileage tires are also cheaper as well since they will have less tread depth on them as well. The mileage warranty you select will depend on how long you plan to keep the car and what your budget can afford at the time. Higher is generally better. The dealer will give you a list of things to do to maintain your warranty. These will include tire pressure maintenance, tire rotation , tire balance and to ensure that your car is maintained properly to protect your tires. Read the specific requirements and ensure you follow these . This was very important for me. You might find cheaper tires at a small garage, but what happens when you are on a trip and need tire repairs immediately. Dealing with a national supplier such as Costco or Wal-Mart guarantees that there is a location not too far away regardless of where you actually are. In our case I wanted coverage in Canada and the US. I wanted to be able to take advantage of the free tire rotation and balancing for the life of the tires regardless of were we were with the car. 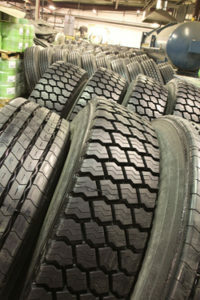 Our next post will be about which Tire Supplier we chose and why! For more info about the right tires for your car, click here. If you enjoy taking a corner or two a bit crazy once in a while or you have found that you needed to swerve to miss another car you may find your car’s current handling performance a bit lacking. There are a number of things that affect the way a car handles corners including the width of the tires. Improving some of these elements may increase the handling capabilities of your car. One of key components to how well your car corners is the tires. Tire width and compound of the rubber play crucial roles in keeping your car from sliding off the road. Wider tires have more surface area in contact with the road which will help to improve traction in all sorts of conditions. Wider tires also have the unfortunate side effect of decreasing your gas mileage due to increased friction with the road. Many people find that after they install wider tires that they see their gas mileage go down by 50 miles per tank! Car makers routinely put such skinny tires on their vehicles to improve gas mileage claims. Wider tires with low tread depth may also turn into skis in winter driving conditions. Installing stickier or softer tires will help your dry traction considerably. Softer and stickier tires will wear out much faster. Snow tires which are considered a soft tire and are excellent in cold winter conditions and will wear out much faster during hot summer conditions. They are softer so that they can conform to the hard ice surface of the road and bite into snow conditions. They also have much more tread on them that is deeper and can allow your tire to find traction in snow conditions. High performance summer tires may also perform very poorly in wet and icy conditions, since they are too hard and do not bend or adapt to the road conditions, which means you’ll probably want another set of tires for winter driving. Wide tires often have a shorter side wall which will improve handling slightly when you go around a corner at high speed your tires will actually flop over sideways. If you have the shorter the side walls are the less likely to let this happen, but unfortunately this also leads to a slightly rougher ride as there is less tire height to absorb bumps in the road. Low profile tires are not mass produced and as a result you will find that the prices are much higher for a set of four tires. Your speedometer is attached to your transmission, so regardless of what size of tire you have on your car your speedometer will register a specific speed based on the RPM’s of the transmission. I once borrowed a car and got a speeding ticket because the owner had installed oversize tires on his car. Although the speedometer registered that I was doing 60 miles an hour on the highway, I was actually doing 70 miles an hour. He was not willing to pay for the ticket! If you are changing your tires from narrow to wide and not changing the diameter you should be ok, Going to low profile tires will change the registered speed on your speedometer. Note the changes and drive accordingly. Does your car feel like it is leaning over sideways when you tear around a turn? This is what is known as body roll. There are a couple of ways to deal with this problem. The easiest of which that is also the thing that has the least effect on ride comfort is to install a set of sway bars or anti-roll bars. They are usually thicker than the stock sway bars, which flex less and keep your car from leaning as much during cornering. The difference these bars make can be tremendous. They can be installed yourself in a few hours and shouldn’t cost more than a few hundred dollars at most. Another thing that affects body roll is your car’s center of gravity. The closer your car is to the ground the less effect the forces of cornering will have on it. Installing a set of lowering springs which bring your car an inch or two closer to the ground will improve handling considerably. You should be aware though that putting lowering springs on your stock shocks will cause them to wear out faster, so it is recommended that you replace both at the same time to save money on labor in the future. Lowering springs also have a different spring rate than the stock springs and will most likely result in a much stiffer ride than you’re used to. Remember: Drive safe, wear your seat belt at all times, and have fun! Are you as confused as I am when it comes to searching for new tires for your car? There are so many different options and marketing buzzwords that really do not mean anything in the English language. It is tough to make sense out of any of the offers and to compare tires. Lately I have been doing some research online to see what tires fit my car and which ones are recommended for my own car. There is lots of marketing buzzwords to get to know. But it really comes down to price, how many miles they will go before needing replacement and whether they are good all year around or not. 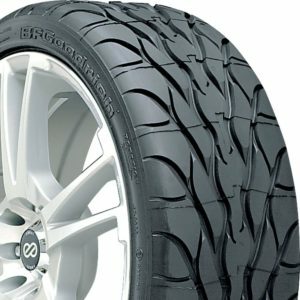 Many / some retailers have their own special tires and this makes it even more difficult to compare. Should you just compare the tires or should you compare the services a retailer offers? These are all factors that consumers must take into account. Is price your main criteria, then you will care less about services such as warranty period, service from one store vs. many stores across the country. I am less interested in extending the warranty. Tires are so good now that you seldom have problems unless you are a wild driver that drives at high speeds. I am also looking for a tire that is good in dry conditions, wet conditions and also in mud or snow conditions. I may install snow tires later on, however lately we have not needed snow tires on the car so all season tires are probably ok for my car. The tires I am looking for of course must be rated for my car, the load and speed rating of the car and the recommended tire size and type for my car. When you go to the tire dealer they can quickly look up this information and confirm that several tires will meet these requirements. Next it comes down to how many miles you should expect to get out of the tires that you purchase. You can go for low rated tires, say 40k miles for example and pay a lower price. However tires that are rated for 75k or 80 k can be as much as double in price but will last much longer and presumably be much safer on the road as well. We are going to go for tires that are rated mud and snow, all season, with an 80k rating and a speed rating near the top of what is rated for our car. We are also going to go for tire balancing for as long as we own the car which will include tire rotation and we will not take the extended warranty or sidewall damage warranty. With my type of driving I am not too worried about needing this type of coverage. National provider – Looks like Walmart for the simple reason , they are almost everywhere. We still have a few places to check prices, however the services and support are important for someone who travels a lot across the country. If you have other areas that we have not thought about please feel free to leave a comment. It will help me as well as our readers. You have found the right kind of vehicle that suits your needs and that of your family. As well as features that are important to you such as power windows and steering, his and her temperature controls, an upgraded sound system, a sun roof and much more. Of course, making these selections, balancing them with your spouse and of course the price is one of the most difficult things you have to do. Buying the the Right Tires For Your Car is also important. Many people do not give a seconds thought to the tires, taking whatever the standard is for the vehicle you are buying. When it comes to choosing the right kinds of tires for your dream machine, there are just as many combination’s to choose from and they all will have an impact on your vehicles performance. If you live in a climate where snow is prevalent, you may also need to consider purchasing snow tires for your car and some people will go as far as buying an additional set of rims just for the snow tires. When you purchase a vehicle, you need to know your car’s specifications for tires. Specifications about the right size, type, and thread of the tire are all very important. Most dealers can assist you with your selection and they can also tell you which tires will not work with your new vehicle and which ones will. The size of a tire for your car, SUV or truck is actually specified on the car owner’s manual. If you have gone through the manual, you will have come across this information along with the correct amount of tire pressure that your tires should have. Any deviation from these specifications will change the intended performance of your new vehicle sometimes improved while with other tires they may actually make your vehicle unsafe. You can also look for the label inside the glove box or on the driver’s side door post. These are locations where the proper tire size is usually located. Make sure that you purchase the right size. If you buy an oversize tire, it can actually rub parts of your car and wear these parts down earlier than it should. On the other hand, an undersized tire could make your vehicle overheat. An over or under sized tire will also change the actual speed that your vehicle travels. The speedometer records the speed based on your transmission, however if you have a larger tire than specified, you will actually be going faster than indicated on the speedometer. If you are not careful this could also mean an expensive speeding ticket! 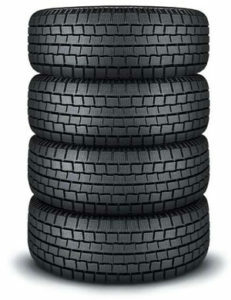 There are various types of tires available in the market. It should be important that you know just what type of tire would fit your vehicle best. If you have a performance vehicle, then you will want to get performance tire. Other tire types include winter tires, all season tires, run flat tires, all-terrain tires, and mud tires. Consult your car owner’s manual regarding this. 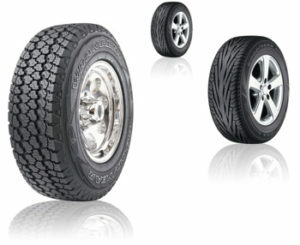 Typically specialized tires, such as low profile tires are more expensive. The tread of your tire is responsible for keeping your vehicle on the road despite various conditions. Mud and snow tires are seasonal tires. This means that it could be used in various types of roads even those that have snow, slush, rain, or mud. However, for most vehicles, the standard highway treads do the trick of keeping the vehicle on the road. You also want to make sure that there is always sufficient tread, regardless of the type of tire, to avoid skimming or sliding on wet roads. Tires with little tread cannot disperse the water and will float on the road which is very dangerous.